I was so excited when a little spoiler for the July Ipsy bag surfaced on June 26th. 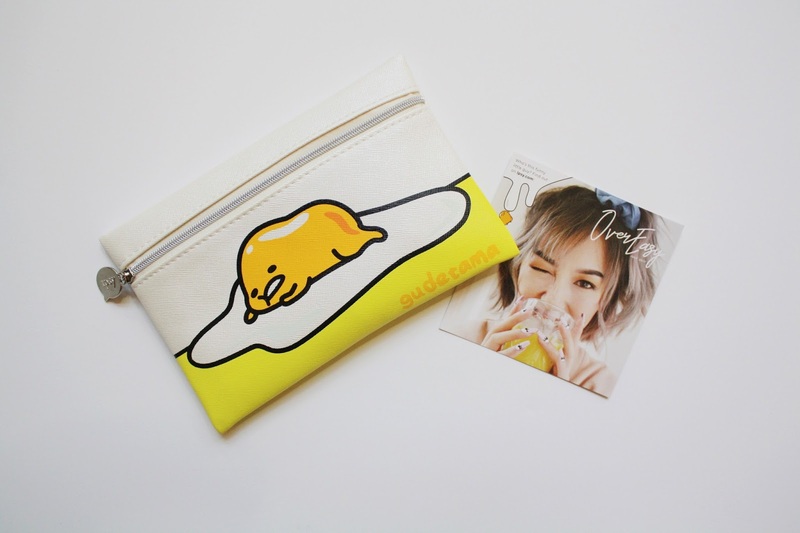 It revealed that Ipsy and Gudetama, the lazy egg character from Sanrio, collaborated for this bag. I don't usually get excited about stuff like this, but over the past couple months I've really started loving Gudetama. My sister loves eggs, especially if they have runny yolks. I hate eggs, especially if they have runny yolks. In fact, as I'm writing this I'm already starting to feel nauseous, but I'll power through for the sake of this story. My sister knows how I feel about eggs, and in the spirit of sibling rivalry, has been sending me Snapchat videos of her breaking egg yolks for about the past year or so. I decided to steer into the skid-- I started buying her egg-based cookbooks and sending her links to stuff with eggs on them so that maybe she would think eggs don't gross me out as much as they actually do. It's worked a little, the egg videos are coming less frequently. 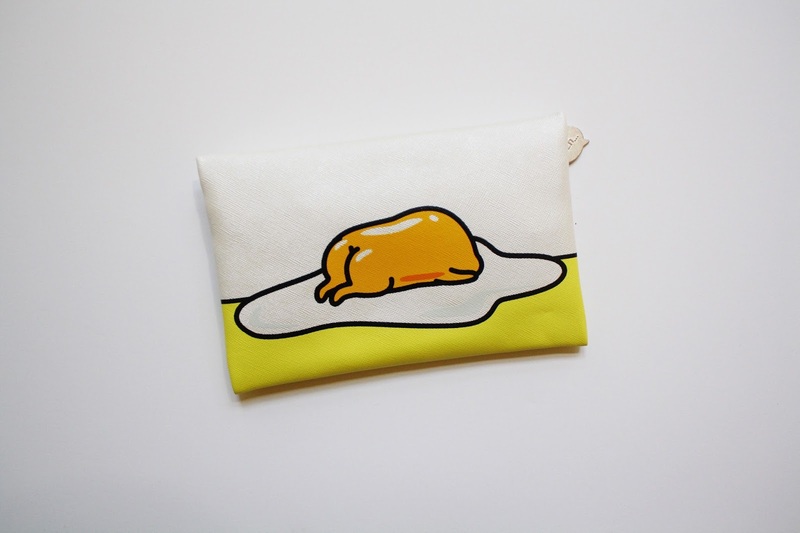 But anyway, I came across Gudetama and started sending links to all the Gudetama merch to my sister. I started using Gudetama GIFs while texting her. Then I realized-- this stupid little personified egg is actually really cute-- and I think I love it more than my sister does. Caudalie Vinosource Moisturizing Sorbet, $39- This moisturizer smells so good, it has sort of a light botanical scent that isn't overpowering at all. I also liked the consistency, it's more of a gel-cream. I probably wouldn't buy this just because the price is a little much, but I'll definitely use this sample till it's gone. mPrincess Pressed Eyeshadow in Biscuit, $15.95- I've been using this eyeshadow as a highlight since it's light and so shimmery. I don't really see anything too special about it, it's sort of underwhelming. Nothing about this product particularly stands out to me, but I'll keep using it. NUDESTIX Magnetic Matte Lip Color in Rose, $24- This is a really pretty color, though a little darker than what I typically wear, so I'll reserve this for nighttime wear. It goes on very easily and looks great, but this is a product that needs to be reapplied throughout the day. I wore it all day without reapplying and by the end of the day, it had faded considerably in the middle of my lips. It wasn't a cute look. Ciaté London Wonderwand Liner Gel-Kohl Hybrid Liner in Black, $24- Obviously I forgot to drop Ipsy Care a line and ask them to please stop sending me black pencil liners because as I've mentioned before, I have a million already. However, this one sounded interesting to me and I was excited to try it. It has a little angled brush on one end which on their website, Ipsy said can be used to wing the liner out. I tried doing that and uh...it did not work out. This pencil didn't feel gel-kohl, it just felt more like a dull No. 2 pencil. This is probably the worst pencil liner I've used in a very long time. TONYMOLY Sheet Masks in Lotus and Green Tea, $3 each- I was, of course, thrilled to receive these sheet masks in my Glam Bag. These were two that I had never tried before and I love TONYMOLY's sheet masks. These sheet masks are so hydrating, refreshing, and I absolutely love the packaging. Have you tried any of these products? Want to try Ipsy? 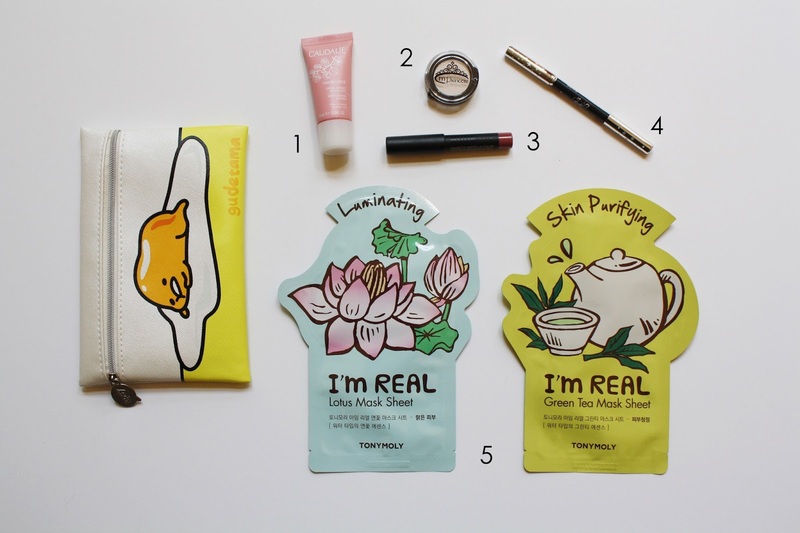 1 comment on "Review: July Ipsy Glam Bag"
I have been loving TonyMoly's sheet masks lately but I haven't tried either of these.